Here's some tips on how to use your hard earned Gems. If you need more, you can also refer below on how to get more Gems for free. All info below are just suggestions, feel free to experiment and try other options that you might like. - Earn your first 2500 Gems and use them for the 10 Gem Summon later to get 10 Rare Summons (3* and Above Heroes) and 10 Crystals. - Note that your first 10 Gem Summon attempt will guarantee you a full 5 (Yellow) Stars Hero, this is what you want. - Joining a Guild really gives a lot of advantages, unfortunately it might be a little difficult for F2P players until later levels, unless you play with friends. - Here's an advice, if you and your friends can't afford to use your hard earned Gems, better create a dummy account. Let it earn 1000 Gems then use it to create your Guild. - Your first "Throw Dice" will let you manipulate the dice and choose a number from 1 to 6 for a cost of 10 Gems. Use this opportunity to land your next roll to a nice spot. - Example: Manipulate to land on a 50 Gems spot where you can earn 40 Gems (-10 Gems from the attempt). - Keep an eye on spots with higher Gems, or some nice Gold spots if you want to exchange your 10 Gems for Gold (ex: 50,000 Gold spots or higher). 3* Heroes can be obtained too, use or sell them for 3 Crystals. - Either pick the 1 Gem Summon every time you reach 280 Gems, or earn another 2500 Gems for another 10 Gem Summon, your choice. - Note that this time, cards are totally random or luck based. - If you are happy with your current Heroes then skip this for now. - You can trade 50 Gems to restore 100 Stamina, giving you more play time. - F2P players can only do this once a day. - Players choose this once they are set with their teams, to farm materials and boost their Lvls, ULT Skills, Equipment, and more. - Do this only if you just need a few pieces to complete the number of Fragments needed. - Spend 50 Gems to unlock 5 more inventory slots. - Hit the [+] button next to your Gem and Gold info to open this option.This is very optional, trade 10 Gems for Gold once a day (more if you are VIP). This will also complete the "Purchase Gold" Daily Task that will give 10 Stamina and 20 Squad EXP. - VIP only feature in the Tower of Time: Open Lord's Hall to get more EXP with less cooldown. - Recommended for core heroes, to get higher Potential stats by using the Golden Potential Awakening (higher chance to get 10%+) or Advanced Awakening (higher chance to get 15%+). - Sign in everyday and collect Gems (rewards depends on the day or event). - At certain Squad Lvls, you can receive some free Gems. - Complete plots and stages to earn Stars, upon reaching a milestone in a single Chapter, you can collect your rewards, including Gems if available. - As you progress through the game, the tasks section will also reward you with a handful of Gems. - Example: Completing new Challenge Dungeons, or finishing story mode plots or chapters. - 30 Day Gem Card: For VIP players or for all players who participated the Limited Events (ex: Pre-Registration Event). - Unity is Strength: Create or Join a Guild to receive 50 Gems. - Challenge other players in the Arena, to fill up the bar and increase your Arena Title. Upon reaching certain Arena Titles, you will receive 50 Gems. - TIP: To quickly level up your Arena Title, just keep getting wins by challenging teams that have lower PWR than yours. Next, for your DEF Squad, put your weakest heroes to purposely lower your Arena Rank, this way you can easily challenge weaker teams every time you enter the Arena, getting more Arena points as you go. - Check Flying Chess section above. - After the weekly ranking, check the Reward Info to check what you can receive. 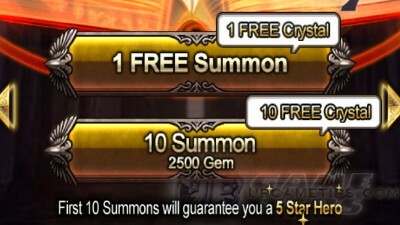 If you did well, you can also get a handful of free Gems. 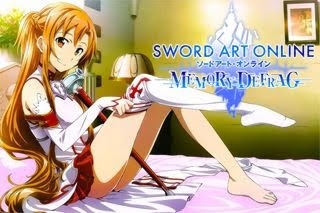 - If I;m not mistaken, a Rank 1 Guild member will get around 300 Gems! - Also watch out for other in-game Events or Facebook freebies. - Example: The Invite Friends Redemption Code Event.